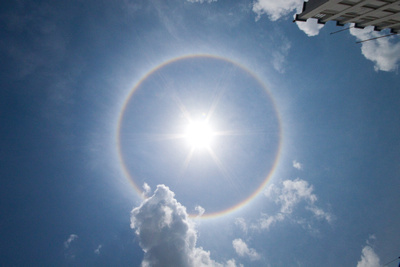 In October of 2009, I witnessed my second Parhelion, or Sundog, a natural phenomena, it wasn’t anything spectacular as those you see in the more northern or southern regions, but a complete halo around the sun, really large halo. 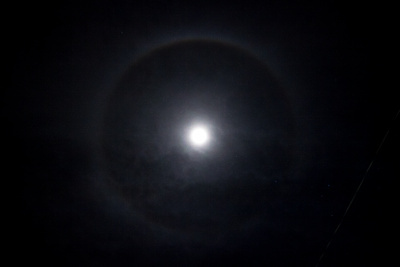 A few nights ago, my friend Savita messaged me asking if I’d seen the moon that evening, on looking, I was amazed to see the same effect with the moon, called a Parselene. As always, click on each image to see them better in the Gallery. LOL. Dude, that’s one of the funniest comments I’ve gotten!!! hilarious! That boy is a character!